A number of government officials, including Prime Minister Imran Khan's sister Aleema Khanum, own benami property in Dubai, reveals Federal Investigation Agency report. Imran Khan's sister Aleema Khanum's name features in the list of benami propery holders. 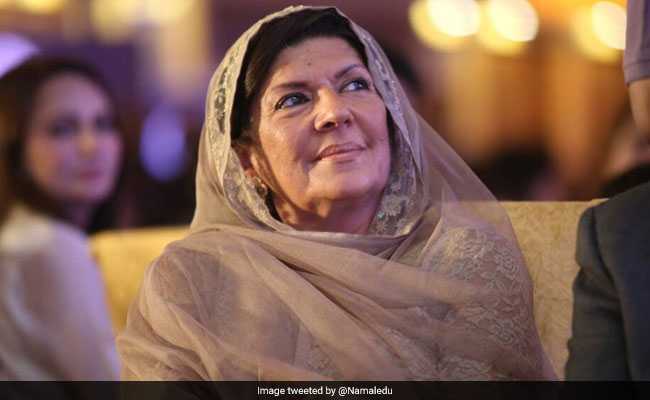 A report submitted to the Pakistan Supreme Court by the Federal Investigation Agency on Friday revealed that a number of government officials, including Prime Minister Imran Khan's sister Aleema Khanum, own benami property in Dubai. The Pakistan Tehreek-e-Insaf government's spokesperson on economy and energy issues, Farrukh Saleem's mother, Senator Taj Afridi and Pakistan People's Party leader Makhdoom Amin Faheem's widow are also named in the report, The Express Tribune reported. The report, examining the details of the properties owned by Pakistanis, further cited that as many as 16 properties were owned by PTI leader Mumtaz Ahmed Muslim, while former PPP minister Amin Faheem's widow Rizwana Ameen is the owner of four properties in the real estate market of the country. Also, Pakistan Muslim League-Nawaz (PML-N) senator Anwar Baig's wife is named to be the owner of an apartment. Other eminent individuals to be included in the report are Adnan Sami Khan's mother Noreen Sami Kha, who has three properties to her name, customs collector Shahid Majeed, Federal Board of Revenue officer Wasif Khan, former Pakistan International Airlines Managing Director Ijaz Haroon's wife. Daughters of Tariq Aziz, the former secretary of former President General Pervez Musharraf, DIG Suhail Habib Tajik, and customs collector Wahid Khurshid's wife have also been named in the list. Notices have been sent in this regard to all those named in the list.